Marbella today has very limited development land available, particularly in premium locations. However, there are many opportunities found in first-class locations with older, outdated structures on them. Those will require either full refurbishment, extensive upgrading, or in some cases, to be torn down entirely. In this case, it is critical to work with a professional who can advise and assist you in decisions such as purchasing, assessing project costs, selecting contractors, communicating general legal ramifications and deciphering complex approval processes. MP Dunne Properties are Project Management experts. We provide comprehensive project management services for clients wishing to acquire a premium location property at today’s price advantage to build a holiday or permanent home in the Marbella luxury market. Refurbishing, rebuilding and property decoration are often extremely lengthy processes. Unexpected complications arise and costs can spiral way beyond the anticipated final price. To save money, some buyers will hire substandard contractors or ex-pat contractors whose lack of local knowledge and resources could spell disaster. Language barriers can compound matters significantly. All this costs you, the buyer, time and money. 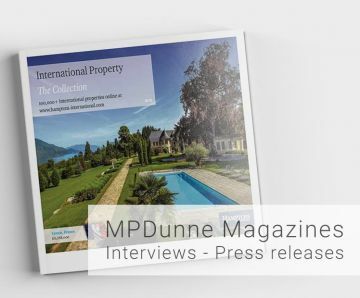 MP Dunne Properties, with over 20 years of development experience, specialises in sourcing optimum sites and projects for our clients. Thereafter, we can manage any project from start to completion. Our knowledge and experience in project and construction management will protect your best interests, and we can save you time and money by ensuring the project is handled the right way from the start, with no down time or mistakes. Our in-house team of advisors and extensive network of reliable service providers will work together to deliver you services to meet any project vision. We are able to source, negotiate and appoint all necessary external services such as architects, surveyors, lawyers, builders, and interior designers.